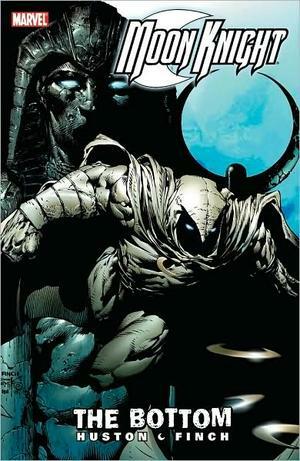 Moon Knight has the unique distinction of being one of the most visually striking characters ever created for superhero comics, but also one of the silliest, least original ideas that the House Of Ideas ever came up with. 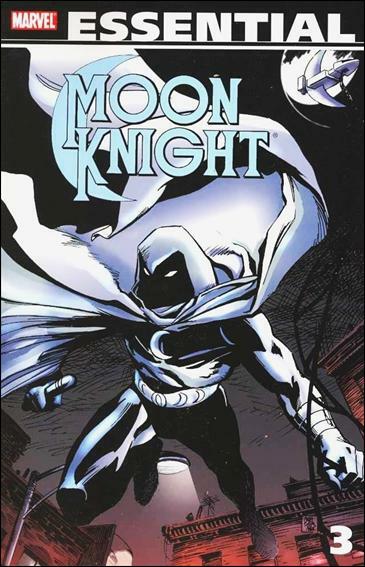 On the surface, the Moon Knight is nothing more than a cheap Batman knock-off. But when you scratch beneath the surface, you get…well, you get a cheap Batman knock-off. But his costume is white instead of dark, so he’s different. Sadly, that’s about as original as you’re going to get in today’s comic book world. While his appeal has never matched that of his more famous DC counterpart, his backstory and character idiosyncrasies have proved unique enough to garner some interesting stories over the years. Here are 3 things you need to know about Moon Knight. He’s Marc Spector, a former mercenary. After being left to die in the North American desert, he has a vision of Khonshu, an Egyptian god that offers him his life IF he becomes his avatar on earth. He accepts. Khonshu isn’t one of Marvel’s cuddly gods like Thor or Hercules. He’s more of the wrathful, avenging, kill-all-your-enemies god type. Like…well…God. Weirdly enough for someone who can hear dead Egyptian gods speak to him, he’s batshit crazy. In addition to his Spector and Moon Knight identities, he also has two other identities that have grown over the years into full-blown multiple personality disorder. It’s a part of the character that has really been pushed hard in recent years, and it’s really the only interesting part of the whole concept. He’s got a really cool costume. In fact, I think that’s the only reason the character has lasted as long as he has. Now, a more cynical man might argue that wearing a WHITE costume while you’re fighting crooks in the DARK might be the height of stupidity, but….but…shut up. I like it. Shut up. These 3 black & white omnibus’ collect the entire run of the original 1970’s and 1980’s Moon Knight series, as well it’s follow up mini-series, and a bunch of other appearances by the character from around the same time period. I’ve written previously about how I’ve been getting rid of most of my Marvel Essential collections, as the black & white nature of them really doesn’t do their original colour source material justice. 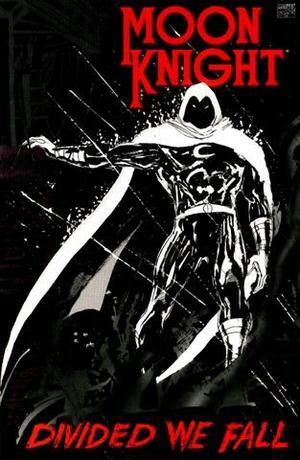 Moon Knight is a rare exception, and I think a case could be made that at least in the case of some of the work here, it stands up better as a black and white comic book. It’s not really fair to judge these as a total package, as there are numerous creators represented throughout. But as Doug Moench and Bill Sienkiewicz were the team on the lion’s share of the comics these editions collect, it’s their run I’ll discuss. This comic might be the most underrated Marvel comic book of the 1980’s. Not only does Moench write his hero as a true tortured, yet ultimately heroic soul, he also creates one of the better supporting casts Marvel has ever boasted. But the true star of the show here has to be Sienkiewicz. 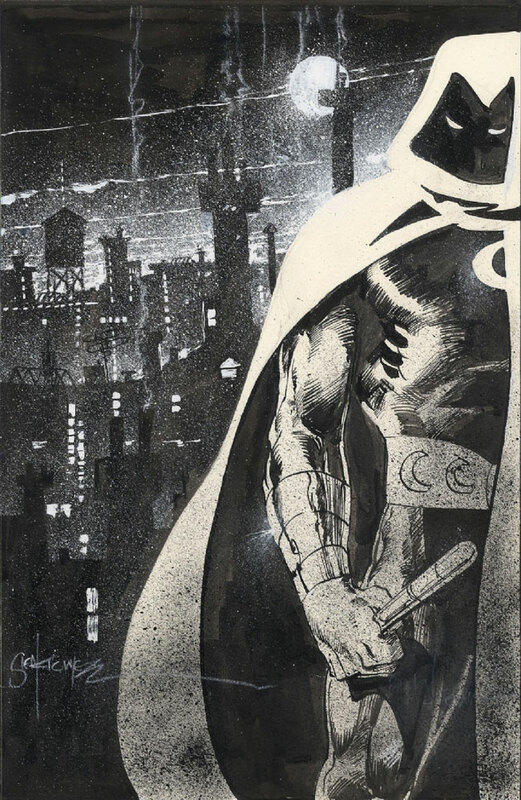 He’s been known as one of the most unique voices in serialized art for a long time, but Moon Knight has to be considered a career highlight, and possibly the last time he allowed “realism” to actually influence his art style. This book isn’t nearly as well known as some of the other Marvel books from the same time period that get more praise, but if you’re a fan of dark, well-written, superhero comics, this one might be worth your time. This was an early ’90’s graphic novel that attempted to recapture the magic of the early ’80’s series, but unfortunately it never really gets there. What we do get is a fairly disposable “mid-life” crisis story that really only serves to portray our hero as a whiner, rather than a tortured vigilante. Not awful, but neither is it necessary. And we’re back. Marvel tries to bring back this character every couple of years, and some attempts work better than others. This is one of the good ones. Or at least it starts that way. Charlie Huston and David Finch bring us a tale of a superhero slowly going crazy. Or at least they try to. The problem here isn’t execution, it’s one of focus. The story starts with the character at the end of his rope, and then he starts to slide even further. The problem is, that Charlie Huston (and I would guess Marvel) realize about 5 or 6 issues in, that the spiral they’ve started Marc Spector on is so deep, and so dark, that really the only logical end is for the character to die. Or at the very least, imprisoned for the rest of his natural life. That’s not really where you want the hero of your mainstream superhero comic book to end up, and so the brakes are applied very early, and any momentum the great first arc garners is quickly lost. After that, it doesn’t take long for this book to become yet another toothless vigilante book, and for the Batman comparisons to start up again. Still, the first collection is absolutely phenomenal, with some of the best work David Finch has done to date. I should also mention as a mini-review, that I’ve read the first issue of the brand-new Moon Knight series that’s being done by Brian Bendis and Alex Maleev. While it’s interesting enough to get me to read another issue, I can’t say that it has the immediate intensity of some of Bendis’ other darker themed work. Still, I’m curious to to see where he goes next with it. Next up: Nextwave, New Universal, and Nick Fury!